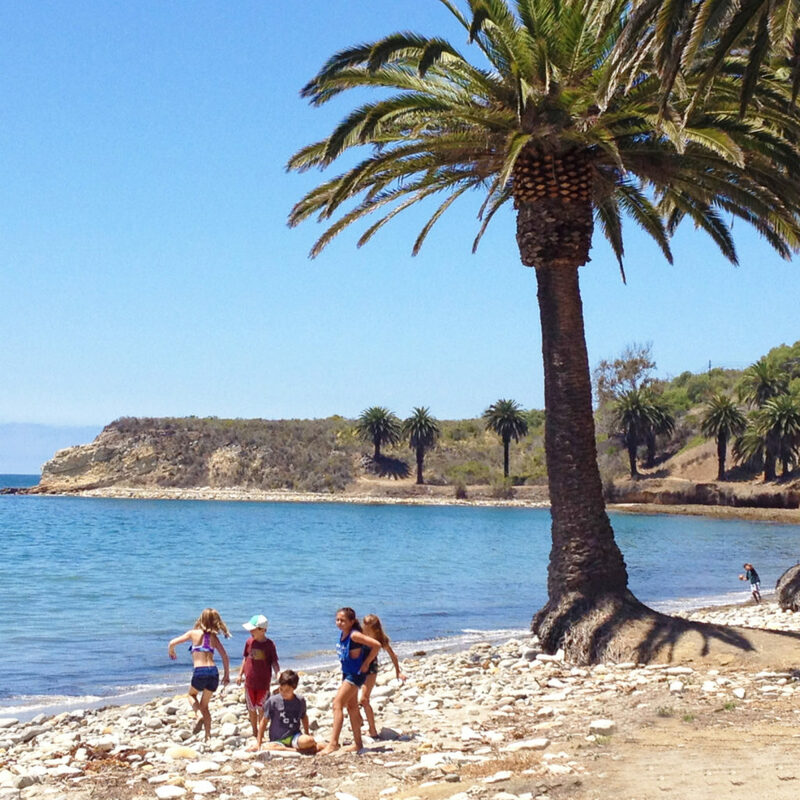 Refugio State Beach offers excellent coastal fishing as well as trails and picnic sites. Palm trees planted near Refugio Creek give a distinctive look to the beach and camping area. Lifeguards patrol the beach year around while lifeguard towers are only staffed roughly from Memorial day weekend through Labor day weekend. Beach wheelchairs are available for use by the public at no cost. With this specially designed chair, wheelchair users may access the beach at several locations. Contact a ranger or lifeguard for additional information. Visitors can get a unique perspective of the coast line by taking the kayak tours offered by State Park Lifeguards. There are tours available for intermediate and beginning kayakers, and are held roughly from Memorial Day weekend through August.